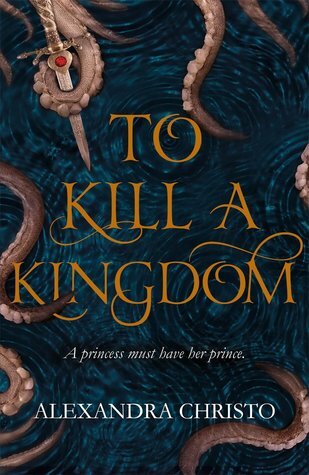 I am currently reading To Kill a Kingdom by Alexandra Christo. I have a heart for every year I've been alive. To Kill A Kingdom is a pretty dark re-imagining of The Little Mermaid - which, let's be honest, is dark AF to begin with. And it starts off pretty gruesomely, with Lira examining the hearts she has stolen. I love it. 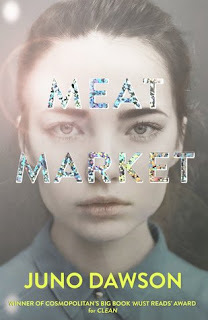 Also can we take a look at that gorgeous cover? I've spent a ridiculous amount of time just staring at the cover instead of reading, gazing at the beautiful foiled typography. My father told me to stop living inside fairy tales, but maybe that's exactly what I need to do. This part of the book isn't about the character you'd expect. I actually found this small part of the book a little frustrating, as the realisation the character came to had been pretty obvious to me since the beginning of the chapter but it took him until the end to work it out. Still, it didn't really detract from my enjoyment, and this is only page 56 so I still have a long way to go. I want to read this book. Happy weekend! Sounds good. I hope you enjoy it. This week I am spotlighting The Broken Girls by Simone St. James. Happy reading! I'm curious about all those hearts! I hope you enjoy the book. I have seen alot of good things about this book,and have it on my someday-read list!! I wonder if the first sentence is to be understood literally or figuratively, lol. I'm planning to read To Kill a Kingdom too at some point. (I'm a new follower via bloglovin btw, your blog is awesome!) Happy reading! Thanks for the follow! I've followed back.